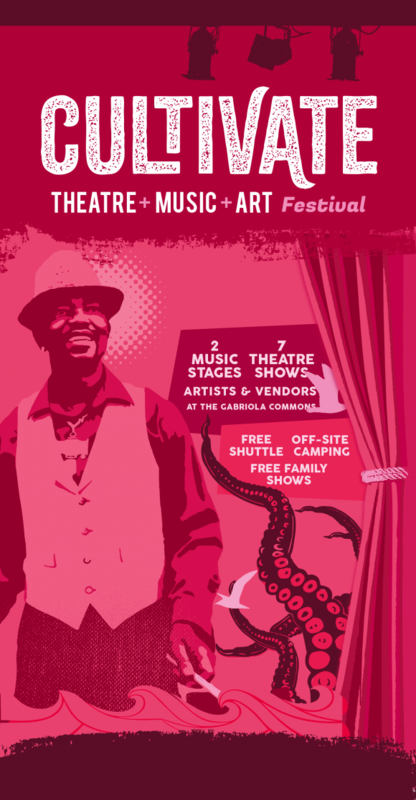 Check out the new website for the new CULTIVATE Festival — a fabulous mash-up of the beloved and long-running Gabriola Theatre Festival and last year’s smash hit Gabriola Music Festival. All of the same great arts and entertainment, at a brand new venue, with a whole lot more to do and see. CLICK HERE to get the website. CLICK HERE to get to the Facebook page. CLICK HERE to register to be a vendor at the Artists Village.